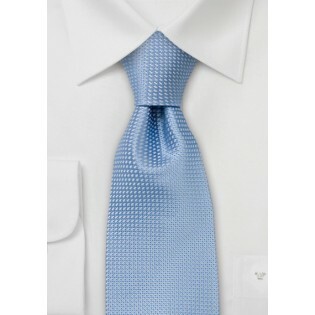 This sky blue tie is woven with an intricate pattern of white dots. Parsley Luxury Neckties designed this tie to stand out with an appealing shine and subtle impact in the spring and summer months. The addition of this tie to your collection instantly updates your day-to-day classic collection of neutral and seasonal suits. 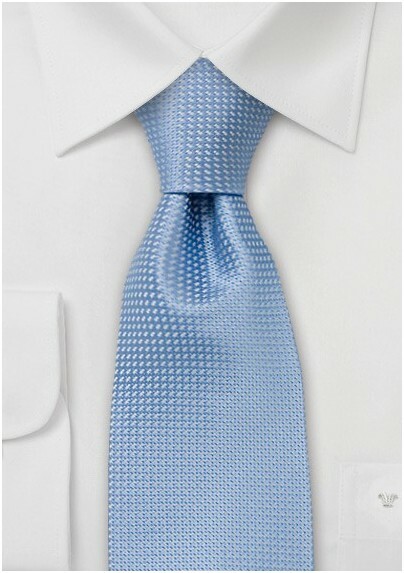 In the spring and summer months, match this tie with suits in light gray, blue, and tan. During fall and winter, pair your darker suits and this tie. Try a charcoal or a navy blue pinstripe suit with a white dress shirt. And to add extra panache for those dressy occasions, wear this necktie with a pocket square.